Don't forget, I have a giveaway of this book going on right now! Make sure to stop by and enter to win!! Like yesterday's thoughts on Beastkeeper, this is an interesting one for me: on one level, I really like it, and on another, I have some pretty major issues with it. 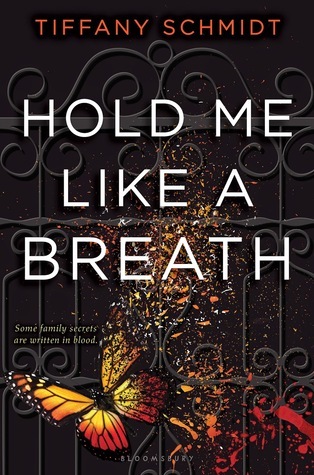 This is a retelling of The Princess & the Pea set in a crime family, about a girl with a rare disease that makes her incredibly delicate, and that is kinda genius. The Princess & the Pea can be a kind of problematic story, and it's certainly always been one that required a HUGE suspension of disbelief: there's a girl who's so fragile, a single pea under a massive stack of mattresses (which somehow don't just squish the pea into oblivion) causes her massive discomfort; this is somehow a desirable trait... It's one of the more odd fairy tales out there (though by no means the oddest). Both the affliction that Penelope has, and her status as a result among the various crime Families, really works to tie in the retelling aspects and make it actually believable. There are a lot of clever nods to the story, most of which subtle enough to be unobtrusive, but well-developed enough to add that extra layer. The crime family aspect, and even some of the general plot, hit some of the same notes as the Birthright series, which I love. Penny isn't cold like Anya, though, so it's like getting the plot elements -- crime family, questions of legalization, constant danger, grief for those lost -- but filtered through a completely different character. This may be a comparison that will be lost on those who haven't read All These Things I've Done and the rest, and it may even be personal to me entirely, but I think if you like any of the things I mentioned, either here, just now, or in any of my reviews for the Birthright series, then you may like this as well. To also be seemingly already in love with someone she's always known, to then be so immediately and obsessively drawn to someone new, whom she's just met, who she knows nothing about and who followed her home and she keeps finding waiting outside her apartment (keep in mind: she's in hiding, so people watching her apt should set off MAJOR warning bells...) -- it all starts to get a little TSTL, which is a term I hate, but come on now! And even though I pegged who this new guy was immediately, and I understand the need to work him in somehow, I have to say, I didn't love the way it played out. Though it ended up kinda endearing, it took me time to wrap my head around, and it was time that I felt like it should have taken Penny. It happened to fast to feel like there was any real basis for it; it reads as a flight of fancy, on both their parts. Forced love-triangles aren't my thing; nor are ultra-convenient coincidences. And to accomodate this new player in town, it has to throw other things into chaos, which is also something I saw coming a mile away, and also didn't like how that played out. Again, it felt shallow and somewhat baseless, and for a story that started strong and was reminding me of a fast favorite, it sure didn't end that way. The shift was so dramatic that I almost stopped reading. In the end, I did enjoy myself, and am even curious enough to see how it plays out, that I'll likely read the next book -- eventually. I think plenty of readers will be able to get lost in and enjoy this, though, and if you are a lover of fairy tale retellings, it's worth it if only for the clever (and actually pretty solid) spin on The Princess & the Pea. But it is a mixed bag, and if some of these things are pet peeves of yours, know that going in, because this may not be the book for you. I love the fact that this is a retelling of The Princess and the Pea! I'm such a huge fan of fairytale retellings! Great review! The Princess and the Pea is one of my favorite fairy tales. I love how unique and weird it is when compared to other stories (I mean a bed made with so many mattresses? I want to sleep there!). This book sounds fantastic and I can't wait to read it.